Excerpt from the life-changing book – TRANSFIGURED, about the amazing life of Patricia Sandoval, who will be a keynote speaker at Walk for Life West Coast-2019. Fr. Donald Calloway, MIC, says of the book, TRANSFIGURED, “Are you ready to read one of the most powerful conversion stories ever written? Seriously, are you? 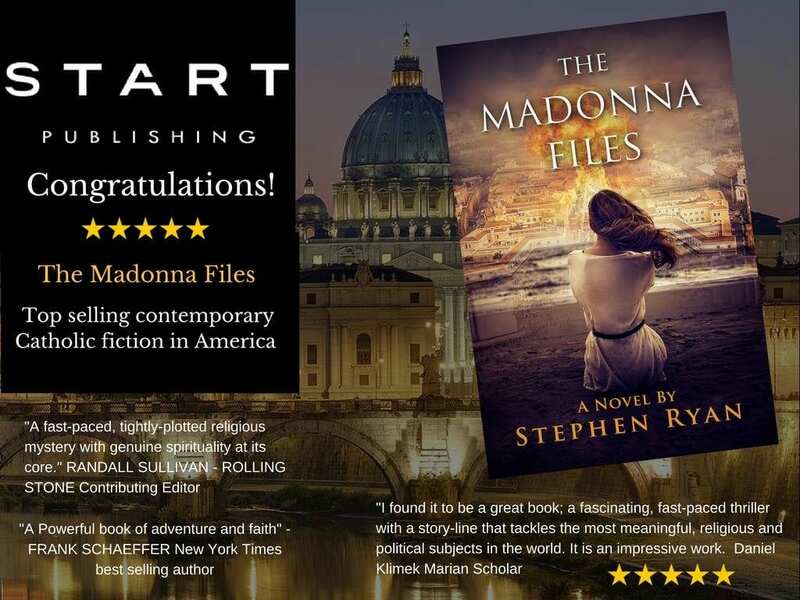 I couldn’t put this book down!” . . . 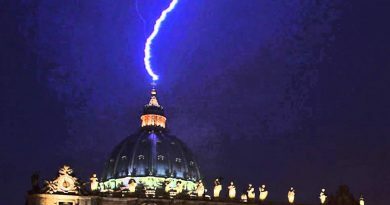 The world, especially Catholics, need to read this story of redemption.” Click here to learn more. Click here or on the image below to order. aflame by love. He looked alive, especially His eyes. might tilt his head my way and call out my name. Fearfully, I would crawl on the floor, hoping to avoid His all-pervasive glare. 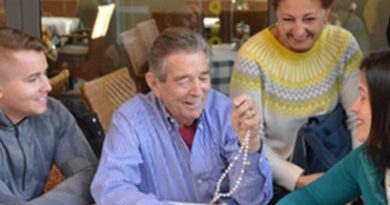 “Who is He?” I asked my mom incessantly, wanting to hear her answer over and over again. 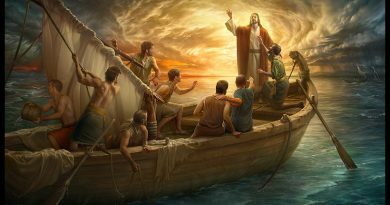 “This is your Papi Dios (Daddy God) who takes care of you in heaven. He’s with the angels,” she’d say. Although she never prayed or went to church, my mom’s belief in Jesus was genuine. Little did she know that her words would become a reality for her little girl. One night at age three, as I lay awake in my bed, tummy down, I somehow knew that Jesus was waiting for me just outside of a high rectangular window close to the ceiling. For reasons beyond my understanding, I could sense His arms extend toward me, although I didn’t dare look up. My heart began to beat rapidly, but I didn’t want Him to know that I felt scared. After all, He was Papi Dios, and I’d been taught not to be afraid of Him. Eventually, I mustered the courage to twist my head farther to one side and glance upward. And there was Jesus, outside my window, smiling adoringly at me, His arms reaching right through the glass toward my tiny frame. Caught up in his loving gaze, my body began to levitate off the bed. Unable to feel my little legs touching the bedcovers, I wanted to know if this floating sensation was real; still facing downward, I lowered my chin toward my chest to see the front of my white pull-up diaper and my white T-shirt. Sure enough, my legs weren’t touching the bed—nor was any other part of me. Slowly, delicately, my body began to float upward toward the window. My little palms started to sweat and my heart seemed to stop, as if I were at the crest of a roller coaster. Scared and confused, I remained face down, eyes bulging, looking at my sister, wondering why she wasn’t floating too. Then my body changed to a sitting position, facing Jesus. As I floated closer to Him, I noticed fresh wounds in the center of Jesus’ upturned palms. Then I saw His gown, made of three dark, rich, and shiny colors: a magnificent gold covering His torso, an intense forest green draping around his left arm, and a dark, burgundy red swooping across His right. Last, I noticed His hair: brown, wavy, falling a little past his shoulders. Each aspect of his appearance was perfectly clear. The glass in the window had disappeared. Ms. Sandoval is now a renowned, full-time international pro-life and chastity speaker inspiring thousands with her harrowing and exhilarating story of redemption. 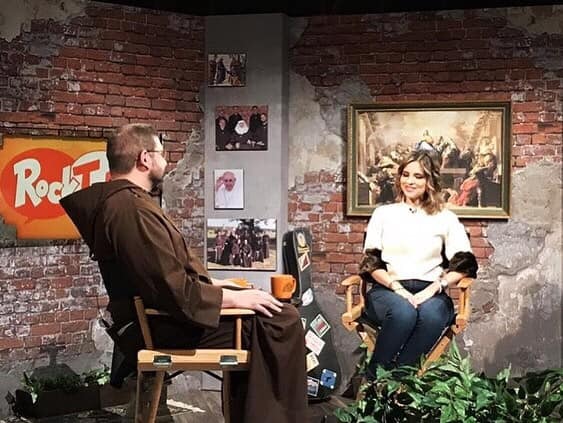 Ms. Sandoval has shared her story through media outlets worldwide, such as EWTN’s Cara a Cara, Women of Grace, Life on the Rock, EWTN Bookmark, and now has her own show on EWTN called De Dos en Dos. Young and old travel for hours, sometimes across country lines, not only to hear Ms. Sandoval’s testimony. 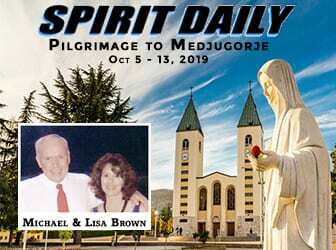 ← Well-Known Artist Johno Prascak Inspired in Medjugorje – “I saw suffering souls of purgatory in the rocks of Cross Mountain.” Can you find the Blessed Mother in the painted sky? VERY INTERESTING THE WITNESS OF THAT WOMAN. PERSON OF FAITH. I only invest my time in people like this by seeing what they wear. If she isn’t following the “Mary-like” Standards of Modesty then my research in her authenticity comes to a complete halt. Look at the immodesty in the shirt on the book. She’s also wearing pants in the top picture (which, women wearing pants was one of the first steps to transgenderism). She dresses very modestly in my opinion. She’s a beautiful soul. Your judgment is too harsh. Goodness you have no idea what normal dress is for women these days.